It features interviews with the cast past and present and looks at the origins of the Doctor, his regenerations from William Hartnell, Patrick Troughton, Jon Pertwee, Tom Baker, Peter Davison, Colin Baker, Sylvester McCoy, Paau MCGann, Christopher Ecclestone, David Tennant and Matt Smith. It also looks at The Tardis, The Time Lords, The Master. And some of the Doctor’s many companions including Leela, Peri, Sarah Jane, Rose, Martha, Donna Noble Amy Pond River Song and Clara Oswald. During the First World War, Huxley spent much of his time at Garsington Manor, working as a farm labourer. Here he met several Bloomsbury figures including Bertrand Russell and Clive Bell. Works of this period included important novels on the dehumanising aspects of scientific progress, most famously Brave New World, and on pacifist themes (for example, Eyeless in Gaza). 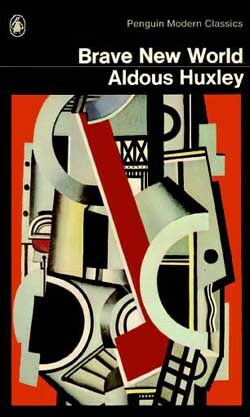 In Brave New World Huxley portrays a society operating on the principles of mass production and Pavlovian conditioning. Huxley was strongly influenced by F. Matthias Alexander and included him as a character in Eyeless in Gaza.Starting from this period, Huxley began to write and edit non-fiction works on pacifist issues and was an active member of the Peace Pledge Union.In 1937, Huxley moved to Hollywood & lived in Los Angeles from 1937 until his death. He also moved to Taos, New Mexico for a time, where he wrote Ends and Means.He was also introduced to Vedanta (Upanishad-centered philosophy), meditation, and vegetarianism through the principle of ahimsa. In 1938 Huxley befriended J. Krishnamurti, whose teachings he greatly admired. He also became a Vedantist in the circle of Hindu Swami Prabhavananda, and introduced Christopher Isherwood to this circle. Not long after, Huxley wrote his book on widely held spiritual values and ideas, The Perennial Philosophy, which discussed the teachings of renowned mystics of the world & affirmed a sensibility that insists there are realities beyond the generally accepted “five senses” and that there is genuine meaning for humans beyond both sensual satisfactions and sentimentalities. Huxley also worked as a scriptwriter. In March 1938, his friend Anita Loos, a novelist and screenwriter, put him in touch with Metro-Goldwyn-Mayer who hired Huxley for Madame Curie which was originally to star Greta Garbo and be directed by George Cukor. (The film was eventually completed by MGM in 1943 with a different director and cast.) Huxley received screen credit for Pride and Prejudice (1940) and a number of other films, including Jane Eyre (1944).Huxley was also apprehensive about the future the developed world might make for itself. From these he put forward some warnings in his writings and talks. In a 1958 televised interview Huxley outlined several major concerns: the difficulties and dangers of world overpopulation; the tendency toward distinctly hierarchical social organization; the crucial importance of evaluating the use of technology in mass societies susceptible to wily persuasion; the tendency to promote modern politicians, to a naive public, as well-marketed commodities. He also wrote to George Orwell, author of Nineteen Eighty-Four, congratulating him on “how fine and how profoundly important the book is”. During the 1950s, Huxley’s interest in the field of psychical research grew and his later works are strongly influenced by both mysticism and his experiences with psychedelic drugs,Allegedly English occultist Aleister Crowley introduced Huxley to peyote & psychiatrist Humphry Osmond introduced him to mescaline (the key active ingredient of peyote) & through Dr. Osmond, Huxley also met millionaire Alfred Matthew Hubbard and became a pioneer of self-directed psychedelic drug use “in a search for enlightenment”. His psychedelic drug experiences are described in the essays The Doors of Perception (the title deriving from some lines in the book The Marriage of Heaven and Hell by William Blake). Beginning in 1939 and continuing until his death in 1963, Huxley also had an extensive association with the Vedanta Society of Southern California, founded and headed by Swami Prabhavananda. Together with Gerald Heard, Christopher Isherwood, and other followers he was initiated by the Swami and was taught meditation and spiritual practices. Huxley was also interested in spiritual subjects such as parapsychology and philosophical mysticism and by the end of his life Huxley was widely acknowledged as one of the pre-eminent intellectuals of his time and respected as an important researcher into visual communication and sight-related theories as well as advocating and taking psychedelics. Sadly Huxley passed away aged 69, on 22 November 1963, several hours after the assassination of John F. Kennedy. Huxley’s ashes were interred in the family grave at the Watts Cemetery, home of the Watts Mortuary Chapel in Compton, a village near Guildford, Surrey, England. Media coverage of Huxley’s passing was overshadowed by the assassination of President John F. Kennedy, on the same day, as was the death of the British author C. S. Lewis, who also died on 22 November. This coincidence was the inspiration for Peter Kreeft’s book Between Heaven and Hell: A Dialog Somewhere Beyond Death with John F. Kennedy, C. S. Lewis, & Aldous Huxley. Huxley’s literary legacy continues to be represented by the literary agency headed by Georges Borchardt. The American computer animated film Toy Story opened in the United States on November 22, 1995. It was produced by Pixar Animation Studios, directed by John Lasseter, written by John Lasseter, Andrew Stanton, Joel Cohen, Alec Sokolow, and Joss Whedon, and featured music by Randy Newman. Its executive producer was Steve Jobs with Edwin Catmull. Released by Walt Disney Pictures, Toy Story was the first feature length computer animated fhouse and the first film produced by Pixar. Toy Story follows the adventures of Woody(Tom Hanks), a pull-string cowboy doll and leader of a group of toys that belong to a boy named Andy Davis, who is celebrating his birthday shortly before moving house, so the toys stage a reconnaissance mission to discover Andy’s new presents. and discover that Andy has received a space ranger Buzz Lightyear action figure(Tim Allen), whose impressive features see him replacing Woody as Andy’s favorite toy. As a result Woody starts feeling profoundly threatened and jealous , especially after Buzz also gets attention from the other toys. Later, As Andy prepares for a family outing at the space themed Pizza Planet restaurant with Buzz. Woody attempts to be picked by misplacing Buzz, but the plan goes disastrously wrong and with Buzz missing, Andy takes Woody to Pizza Planet instead. However Buzz climbs into the car and confronts Woody & The two fall out of the car. Woody comes up with a plan to get to get to Pizza Planet convincing Buzz to come with him by telling him it will take him to his home planet. Once at Pizza Planet, Buzz makes his way into a claw game machine shaped like a spaceship, thinking it to be the ship Woody promised him. Inside, he finds aliens who revere the claw arm as their master. When Woody clambers into the machine to rescue Buzz, the aliens force the two towards the claw and they are captured by Andy’s neighbor Sid Phillips, who finds amusement in torturing and destroying toys. At Sid’s house, the two attempt to escape, encountering Sid’s nightmarish toy creations and his vicious dog, Scud. and as Sid prepares to destroy Buzz by strapping him to a rocket Woody convinces Buzz that life is worth living because of the joy he can bring to Andy, this helps Buzz regain his spirit, so Woody then faces a race against time as he tries to rescue Buzz and the two of them must work together in order to escape from Sid’s house . Toy Story became the top-grossing film on its opening weekend & went on to earn over $361 million worldwide. Reviews were highly positive, praising both the technical innovation of the animation and the wit and sophistication of the screenplay, and it is now widely considered, by many critics, to be one of the best animated films. In addition to home media releases and theatrical re-releases, Toy Story-inspired material has run the gamut from toys, video games, theme park attractions, spin-offs, merchandise, and two sequels—Toy Story 2 (1999) and Toy Story 3 (2010)—both of which received massive commercial success and critical acclaim. Toy Story was selected into the National Film Registry as being “culturally, historically, or aesthetically significant” in 2005, its first year of eligibility. He became a renowned pirate, his cognomen derived from his thick black beard and fearsome appearance; he was reported to have tied lit fuses under his hat to frighten his enemies. He formed an alliance of pirates and blockaded the port of Charleston, South Carolina. After successfully ransoming its inhabitants, he ran Queen Anne’s Revenge aground on a sandbar near Beaufort, North Carolina. He parted company with Bonnet, settling in Bath Town, where he accepted a royal pardon. However he was soon back at sea and attracted the attention of Alexander Spotswood, the Governor of Virginia. Spotswood arranged for a party of soldiers and sailors to try to capture the pirate, which they did on 22 November 1718. During a ferocious battle, Teach and several of his crew were killed by a small force of sailors led by Lieutenant Robert Maynard.A shrewd and calculating leader, Teach spurned the use of force, relying instead on his fearsome image to elicit the response he desired from those he robbed. Contrary to the modern-day picture of the traditional tyrannical pirate, he commanded his vessels with the permission of their crews and there is no known account of his ever having harmed or murdered those he held captive. He was romanticised after his death and became the inspiration for a number of pirate-themed works of fiction across a range of genres. Screenwriter, film director, animator, actor and member of Monty Python, Terry Gilliam was born 22nd November 1940 in Medicine Lake, Minnesota, U.S. He started his career as an animator and strip cartoonist. One of his early photographic strips for Help! featured future Python cast-member John Cleese. When Help! folded, Gilliam went to Europe, jokingly announcing in the very last issue that he was “being transferred to the European branch” of the magazine, which of course did not exist. After Moving to England, he animated sequences for the children’s series Do Not Adjust Your Set, which also featured Eric Idle, Terry Jones, and Michael Palin.Gilliam was a part of Monty Python’s Flying Circus from its outset, at first credited as an animator (his name was listed separately after the other five in the closing credits), later as a full member. 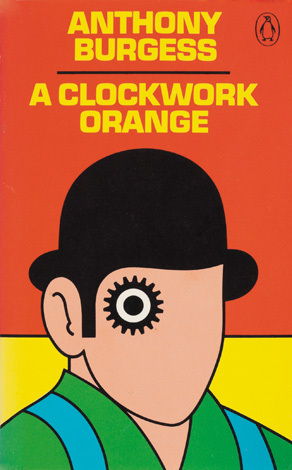 His cartoons linked the show’s sketches together, and defined the group’s visual language in other media (such as LP and book covers, and the title sequences of their films). Gilliam’s animations mix his own art, characterized by soft gradients and odd, bulbous shapes, with backgrounds and moving cutouts from antique photographs, mostly from the Victorian era. Besides doing the animations, he also appeared in several sketches, though he rarely had any main roles and did considerably less acting in the sketches. He did however have some notable sketch roles such as Cardinal Fang of the Spanish Inquisition, “I Want More Beans!” (from “Most Awful Family in Britain 1974″, Episode 45) and the Screaming Queen in a cape and mask singing “Ding dong merrily on high.” More frequently, he played parts that no one else wanted to play (generally because they required a lot of make-up or uncomfortable costumes, such as a recurring knight in armour who would end sketches by walking on and hitting one of the other characters over the head with a plucked chicken) and took a number of small roles in the films, including Patsy in Monty Python and the Holy Grail (which he co-directed with Terry Jones, where Gilliam was responsible for photography, while Jones would guide the actors’ performances) and the jailer in Monty Python’s Life of Brian. With the gradual break-up of the Python troupe between Life of Brian in 1979 and The Meaning of Life in 1983, Gilliam became a screenwriter and director, building upon the experience he had acquired during the making of Monty Python and the Holy Grail. Gilliam says he used to think of his films in terms of trilogies, starting with Time Bandits in 1981. The 1980s saw Gilliam’s self-written Trilogy of Imagination about “the ages of man” in Time Bandits (1981), Brazil (1985), and The Adventures of Baron Munchausen (1988). All are about the “craziness of our awkwardly ordered society and the desire to escape it through whatever means possible.” All three movies focus on these struggles and attempts to escape them through imagination; Time Bandits, through the eyes of a child, Brazil, through the eyes of a thirty-something, and Munchausen, through the eyes of an elderly man. Throughout the 1990s, Gilliam directed his Trilogy of Americana: The Fisher King (1991), 12 Monkeys (1995), and Fear and Loathing in Las Vegas (1998), which were based on scripts by other people, played on North American soil, and while still being surreal, had less fantastical plots than his previous trilogy. Other films he has directed also include Jabberwocky, The Brothers Grimm, Tideland and The Imaginarium of Doctor Parnassus, starring Dustin Hoffman and Natalie Portman. Perhaps C.S.Lewis’s best known novels are The Chronicles of Narnia which are a series of seven high fantasy novels and are considered classics of children’s literature. Set in the fictional realm of Narnia, a fantasy world of magic, mythical beasts, and talking animals, the series narrates the adventures of various children who play central roles in the unfolding history of that world. Except in The Horse and His Boy, the protagonists are all children from the real world, magically transported to Narnia, where they are called upon by the lion Aslan to protect Narnia from evil and restore the throne to its rightful line. The books span the entire history of Narnia, from its creation in The Magician’s Nephew to its eventual destruction in The Last Battle. The Chronicles of Narnia have also been adapted for stage, TV, radio, and cinema.Inspiration for the series is taken from multiple sources; in addition to adapting numerous traditional Christian themes, the books freely borrow characters and ideas from Greek, Turkish and Roman mythology as well as from traditional British and Irish fairy tales & have profoundly influenced adult and children’s fantasy literature since World War II. Lewis’s exploration of themes such as religion, race and gender have caused some controversy. Media coverage of his death was minimal because it was the same day that U.S. President John F. Kennedy was assassinated, and Aldous Huxley, died. Lewis continues to attract a wide readership. In 2008, The Times ranked him eleventh on their list of “the 50 greatest British writers since 1945″. Readers are often unaware of what Lewis considered the Christian themes of his works. His Christian apologetics are read and quoted by members of many Christian denominations. Lewis has been the subject of several biographies. In 1985 the screenplay Shadowlands by William Nicholson, dramatising Lewis’s life and relationship with Joy Davidman Gresham, was aired on British television, starring Joss Ackland and Claire Bloom. This was also staged as a theatre play starring Nigel Hawthorne and made into the 1993 feature film Shadowlands starring Anthony Hopkins and Debra Winger. In 2005, a one-hour television movie entitled C. S. Lewis: Beyond Narnia, starring Anton Rodgers, provided a general synopsis of Lewis’s life. There is also A bronze statue of Lewis’s character Digory, from The Magician’s Nephew, stands in Belfast’s Holywood Arches in front of the Holywood Road Library.Many books have been inspired by Lewis, including Daniel Handler’s A Series of Unfortunate Events, Eoin Colfer’s Artemis Fowl, Philip Pullman’s His Dark Materials, and J. K. Rowling’s Harry Potter. Authors of adult fantasy literature such as Tim Powers have also been influenced by Lewis’s work. Lewis was strongly opposed to the creation of live-action versions of his works. 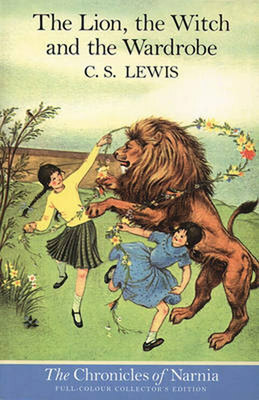 His major concern was that the anthropomorphic animal characters “when taken out of narrative into actual visibility, always turn into buffoonery or nightmare”.Several C. S. Lewis Societies exist around the world, including one which was founded in Oxford in 1982 to discuss papers on the life and works of Lewis and the other Inklings, and generally appreciate all things Lewisian. His name is also used by a variety of Christian organisations, often with a concern for maintaining conservative Christian values in education or literary studies. Film adaptations have been made of three of The Chronicles of Narnia: The Lion, the Witch, and the Wardrobe (2005), Prince Caspian (2008) and The Voyage of the Dawn Treader (2010).Lewis is also featured as a main character in The Chronicles of the Imaginarium Geographica series by James A. Owen. He is one of two characters in Mark St. Germain’s 2009 play Freud’s Last Session, which imagines a meeting between Lewis, aged 41, and Sigmund Freud, aged 83, at Freud’s house in Hampstead, London, in 1939, as the Second World War is about to break out.